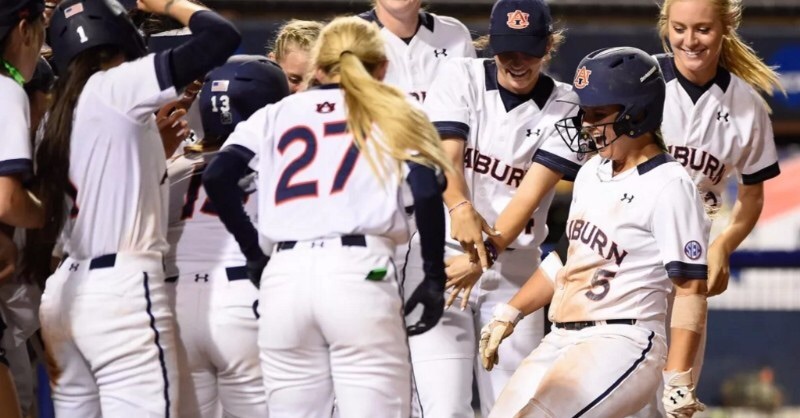 Though they ended up falling short in the Women's College World Series, Auburn's comeback in game two against Oklahoma was incredible to watch. Down seven runs coming to bat in the bottom of the second, the Tigers were left for dead. Chipping away in big chunks, robbing a late-game home run, and capping it off with a grand slam to finish it, the team showed incredible passion. I think that's the right word - passion. Often in those championship situations we see great, joyful, and emotional outbursts and we call that passion. But the word passion has shifted in definition through the years. In modern culture, we think passion to be related to a fiery emotion. But the classic definition of passion is much different. That definition comes from Christ's passion displayed on the cross and was best defined as "suffering" or "enduring." In the case of Auburn softball, I can buy the use of the definition. They were down, they were suffering, and on the brink of losing the WCWS. They had to endure to win and force a game three. But in the case of many young athletes today, passion lacks the proper definition. "I'm just not passionate about the game anymore." "The game's just not as fun as it used to be." When I've heard these phrases from players in the past, generally in the context of trying to walk away from the sport, I've challenged them on their definitions of the words. Sadly, without the proper Biblical understanding and context, my words fall on deaf ears. And I understand it, what 17-year-old kid wants to fight through adversity? Heck, not many parents want their kid to fight through adversity either (and I put myself in that camp sometimes - watching your kid suffer is awful). Right now, I find myself secretly cheering for Lebron James and the Cleveland Cavaliers in the NBA Championship. The city of Cleveland knows about suffering and endurance (watch the recent 30 for 30 film "Believeland" to feel their level of suffering). While they might not achieve the title this year, my hope is that some day they will. Having waited 24 years to win a baseball championship at the high school level, I know the adulation of tears mixed with laughter that is impossible to describe to anyone who hasn't waited as long. While I wouldn't wish that on someone else, I can say that the Lord has blessed me with passion and I look forward to showing others how important suffering and endurance is in the process of discovering passion. Older PostDo You Want To Get Well?